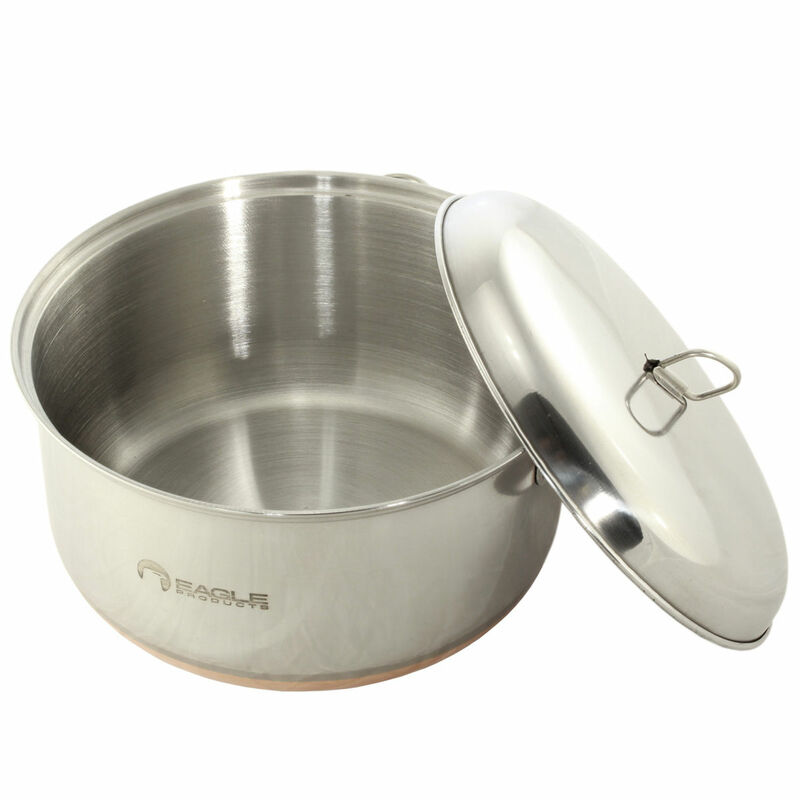 The Eagle Products Stainless Steel Pot - 3.2 Litre is a versatile cooking pot for outdoor use, made from polished stainless steel with a copper coated underside. 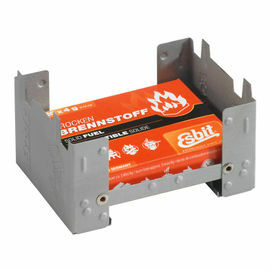 The pot features a specialised handle for a more secure and stable fixture when cooking over a fire. 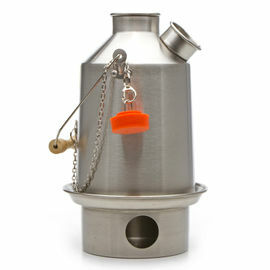 The handle has a locking mechanism to ensure that the pot hangs securely over the fire. The lock is released with a simple push. 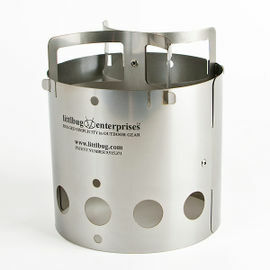 This cooking pot can be used suspended above all types of outdoor heat sources, including a stove and a camp fire. 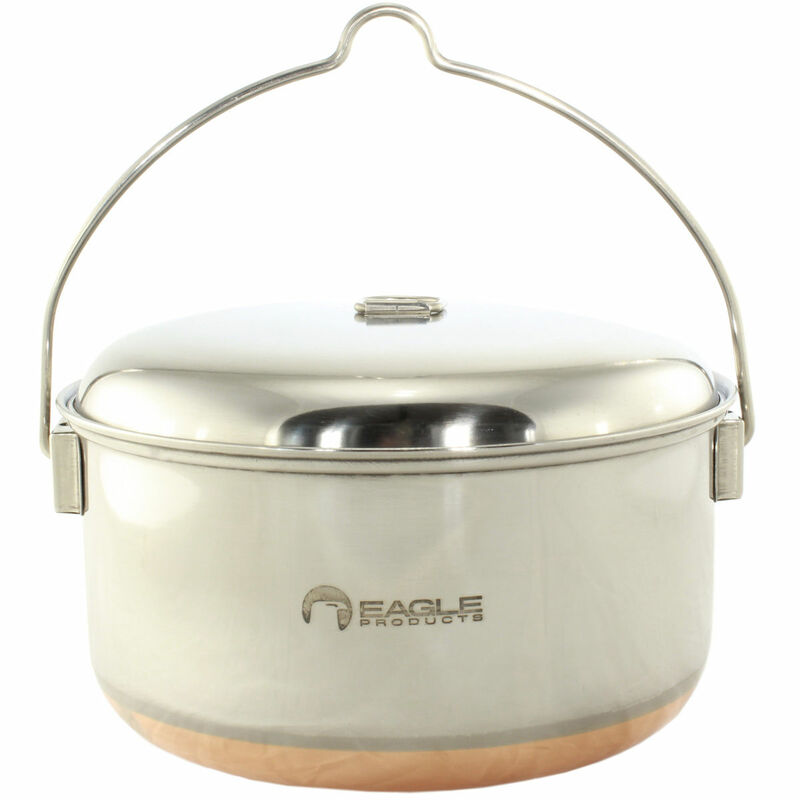 Eagle Products Stainless Steel Pot - 3.2 Litre is rated 5/5 based on 2 customer reviews. Great pot, not to heavy. 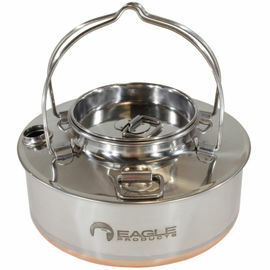 The 1.5ltr eagle kettle nestles perfectly with this pot. 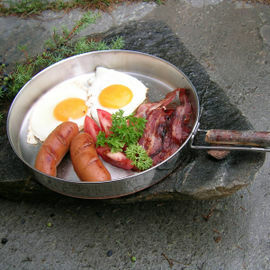 The base of the pot is big enough to be effective as a frying pan, when I did this nothing stuck to it. This was easy to clean. 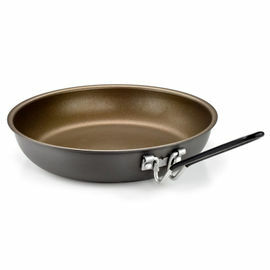 Made from high quality stainless steel. The locking mechanism is a brilliant idea. 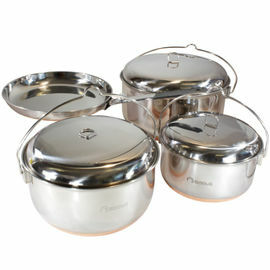 Suitable for cocking rice over an open fire and large enough to serve for six to eight people. 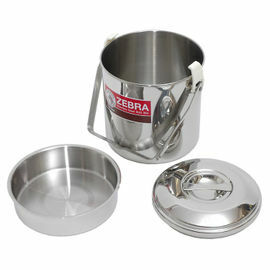 Came with mesh bag for easy storage. Highly recommended.